MANILA, Philippines - The World Economic Forum (WEF) Competitiveness Survey only represents the sentiments of the big businesses and not the small and medium sized ones or those located in the Philippine Economic Zone Authority (PEZA) zones, an economist said. WEF Associate Director Thierry Gieger said the qualitative part of the Global Competitiveness Index (GCI), the Executive Opinion survey, mostly represents the perception of big corporations in the Philippines. Gieger said the profile of the respondents for the Executive Opinion Survey conducted in the country is composed mostly of large corporations. The respondents were identified with the help of the local partner institutes, which in the case of the Philippines, is the Makati Business Club (MBC). At present, large corporations composed only less than one percent of registered business establishments in the Philippines. This means that the small and medium enterprises (SMEs) which make up the remaining 99 percent are underrepresented in the survey. In terms of contribution to export growth and job generation in the country, PEZA locators are also underrepresented in the Executive Opinion polls. With this situation, the GCI survey does not certainly capture the outlook of the Philippine businessmen in general. Despite the reason, Gieger recognized the need for the SMEs and PEZA locators to be included in the GCI survey, being the major contributors to the economic growth of the country. 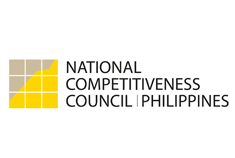 To address the said issue, Guillermo Luz, National Competitiveness Council (NCC) Co-Chairman for Private Sector said the NCC, together with the GCI group will look on “balancing” the profile of the respondents to achieve a more accurate outlook of the Filipino businessmen. Since part of GCI survey involves perception of the respondents towards business environment and the government, it is also noted that negative reports from media could affect the opinion of the businessmen. Luz stressed the importance of communicating government initiatives to the people. “Communication is important, the government needs to be ahead of the curve and communicate proactively to the public,” he said.